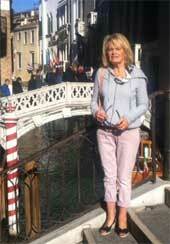 I began my career in the Travel Industry over 30 years ago, as a Personal Assistant / Bookkeeper to Peter Korbel, the founder of Brighton Travelworld. After 7 years I diversified and progressed to consulting and Managing the business. In 1999 I purchased the company with business partner Keiran Cromie. Now as a hands-on Managing Director, I have a thorough understanding of business principles and a clear knowledge of my clients’ requirements. I have an enviable track record in the industry, having led the Agency to many awards over the past 23 years together with personal awards for expertise in Consulting. I am committed to the team, delivering our clients quality of knowledge and experience, on time, and within their chosen budget. This is achieved by employing only A1 grade qualified and experienced Senior Consultants who are trained to achieve nothing less than excellence, and will go to extraordinary lengths to achieve the best result for their clients. This is one of the major reasons for Brighton Travelworld’s rise to prominence as a leader in the Travel Industry. I keep in close touch with our ever-changing Industry, following overseas trends and forecasts to keep us ahead of the competition. I am very proud of the team at Brighton Travelworld and the company’s continued growth from a $5 million agency when purchasing the business in 1999 to a $17 million organisation currently, a great result considering the impact the Internet has had on many agencies. I love big cities, and have travelled extensively to all parts of the world many times over. I still find time to fundraise and support the local community, being a current member and Past President of Brighton Beach Rotary, and PHF Sapphire. I was also fortunate to win the Bayside Corporate Citizen award in 2007. 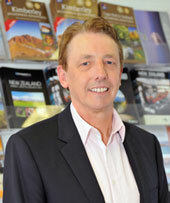 My involvement with travel began in 1999 when I purchased Brighton Travelworld with Julie Avery. I have always had a keen interest in travel and love to hear about some of the more exotic holidays which come to life within our office. I spent 30 years in the Information Technology industry mainly as an IT Manager for various local councils, and as a consultant in my own IT business. Consequently, I concentrate on Business Development, Technology IT, Marketing and Administration, so I’m very much behind the scenes. I maintain a strong interest in supporting local community organisations and I’m a Past President, PHF, and current Secretary of Brighton Beach Rotary. Bike riding from Hampton is my passion so I enjoy taking BTW groups away on tour. I grew up and live locally so I feel that I have a good understanding of our clients’ needs. It has now been over 9 years since I joined Brighton Travelworld and over 30 years since I started in the Travel Industry. It has never been boring and I can honestly say I still learn something every day. I have always loved to travel and now with two teenagers, it is like seeing old destinations through new eyes. I have a wealth of personal experience to share with my clients. I also enjoy the marvelous feedback we receive from our clients about their experiences. I continue to enjoy challenging itinerary planning and find there is always something new to discover as a Travel Consultant. I have enjoyed getting to know Brighton Travelworld’s many valued clients and assisting them with their travel plans. I am an accredited Cruise Consultant with the International Cruise Council. I have been working in the Travel Industry since 1985. I, that time I have worked in leisure, corporate and group agencies and in large and small companies, and joined Brighton Travelworld in 2001. I enjoy working in leisure travel the best because of the satisfaction of assisting clients with their holidays that they are very excited about. Planning itineraries is fun and I love working with our clients to create their perfect dream holiday. I have travelled in Europe, USA, Asia-Pacific and Australia and I still love to learn about new destinations. 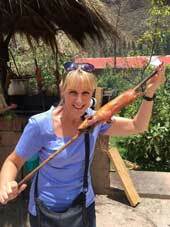 Since joining Brighton Travelworld, I have broadened my knowledge by becoming a Cruise Consultant and a Rail Expert. 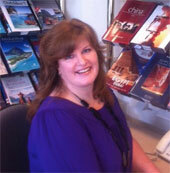 I started my career in the Travel Industry over 20 years ago. Having graduated from the Jetset Travel Training College, I began work as a junior/domestic travel consultant then moved into the role as a senior/international consultant. I was then appointed the position as a manager where I remained until the birth of my son. Having returned to the travel industry after this time, I am very happy to be working with Julie and the team at Brighton Travelworld. Over the years I have travelled to many Asian countries, as well as throughout the Pacific, North America including Alaska, the Middle East, Africa, India and Europe and also visited many wonderful destinations in our own country. I am very experienced and competent in handling intricate corporate travel as well as detailed, personalised leisure bookings. I have had experience with group bookings and conferences and look forward to helping our clients realise their travel desires! I have worked in the Travel Industry since leaving school 30 years ago, following in my father’s footsteps; he owned his Travel Agency for 15 years in Bayside and my introduction to the Travel Industry was stamping brochures on a Saturday morning, so travel is definitely my passion. I enjoy helping my clients planning and tailoring their trips whether it is for business or leisure. I have travelled extensively through Europe, Asia, USA, Africa, Caribbean, South America, Pacific and Australia. I try to get away at least once a year to somewhere I haven’t been before to update my knowledge and experience. I have 2 children aged 17 & 14 years who are also “keen” travellers. I can’t imagine working in any other industry and look forward to continuing the close relationship I have with my existing clients, and meeting new clients to help make their “travel dreams” come true. I am an accredited Cruise Consultant with the International Cruise Council and a Rail Tickets Expert Agent. My love of travel began well before I started in the travel industry seven years ago. From taking trips as a young girl with the family, my sense of adventure has blossomed into exploring far & wide regions, though my Greek heritage draws me back to Greece most years. I enjoy visiting the Greek Isles for the summer sun & prefer to visit those I have not seen before. I have traveled through the UK, Europe, Bali, the USA, Australia & always look to venture to exciting destinations to explore & learn more about. Being in retail travel I enjoy tailoring dream holidays for my clients from the complexities of traveling around the world to the simplest of holidays spent relaxing by the beach, to ensuring family holidays run seamlessly & ensuring corporate business travelers have their travel requirements met. I began in the Travel Industry in 1985, and have worked mainly in the retail leisure area as well as a little in the corporate market. More recently, I have moved into a part-time position performing PA duties to Julie. I have travelled through parts of Australia, Asia, the Pacific and Europe. I have two children and now enjoy our family holidays together.